The real Glen Isla is one of the famous Angus glens than runs north to the ski resort of Glenshee. 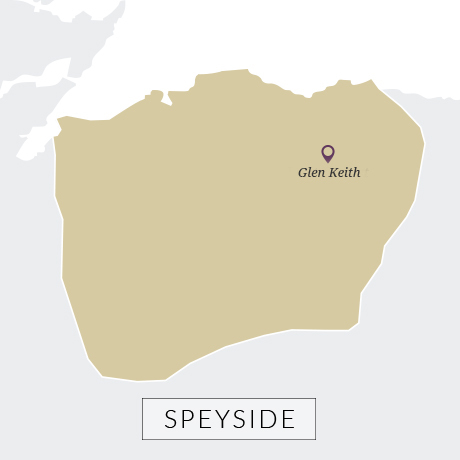 On the other hand, the eponymous malt whisky was a short-lived experiment to produce a smoky Speyside malt at Glen Keith – the Speyside distillery Seagram built next to its Stathisla distillery in Keith in the late 1950s. Glen Keith was experimental from the start, testing out triple distillation and gas-fired direct heating for its stills. Among very rare independent bottlings of Glenisla, veteran nose Charlie Maclean found lots of ‘honey-glazed ham’ but precious little peat in a 1977 release from Signatory. If Maclean struggled to detect smoke it may be because Glenisla was peated in a very peculiar way. Under Seagram, Chivas Brothers had been sending 45-gallon drums of peated water from Stornaway to Glen Keith, where it was run through an angled condenser to concentrate the phenols. Apparently it was added 10 gallons at a time to the wash charge and its impact on the whisky must have been considerably less than using well-peated malt in the traditional way – a method Glen Keith also used. Glenisla was only produced in the 1970s, and then only for a couple of years. The whisky was blended away, most notably in Chivas’ Century of Malts in the 1990s, although a very small amount has surfaced as a single malt bottled by Signatory. Blended whisky from Chivas Brothers.